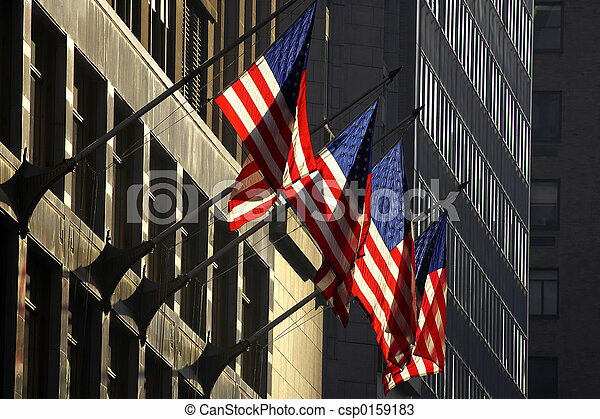 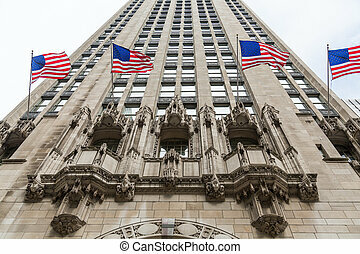 Four american flags against a building, manhattan, new york, america, usa. 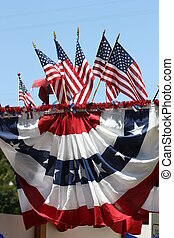 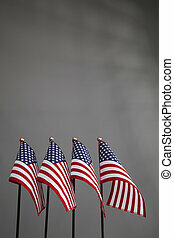 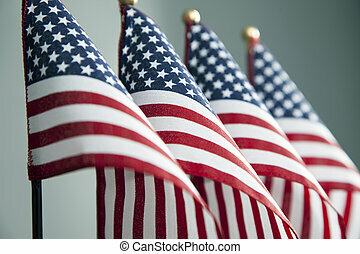 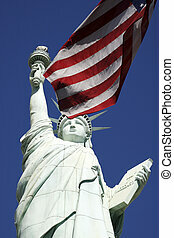 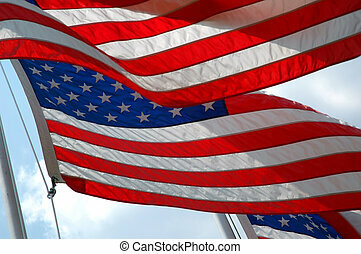 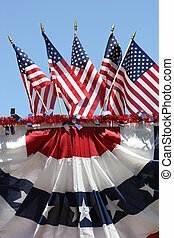 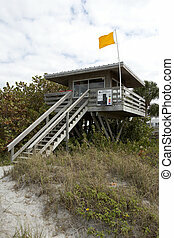 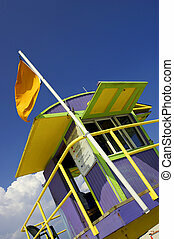 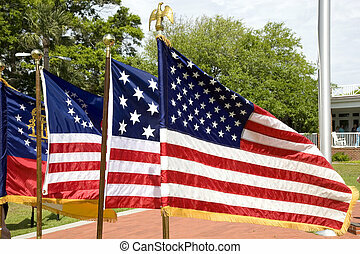 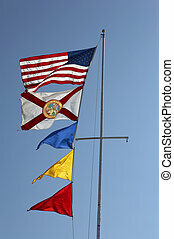 Four American flags stand upright. 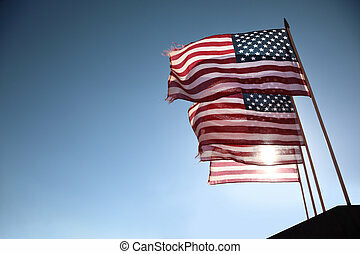 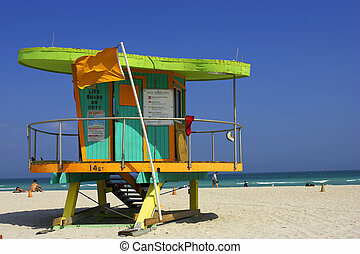 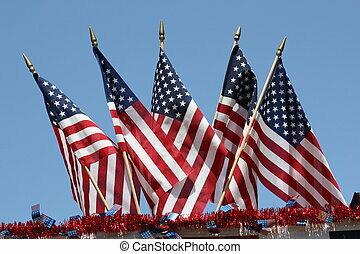 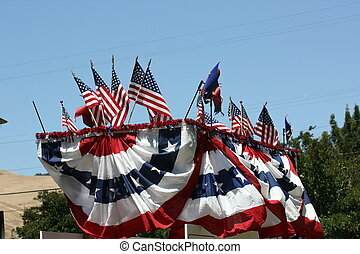 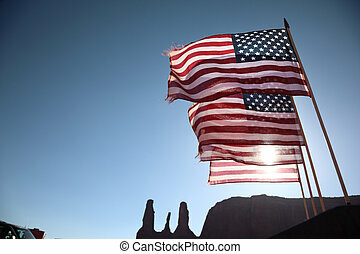 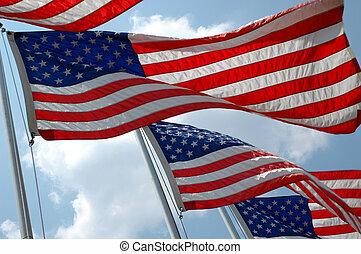 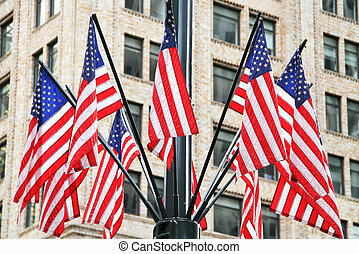 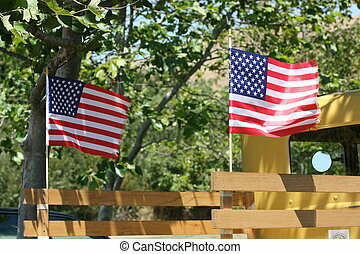 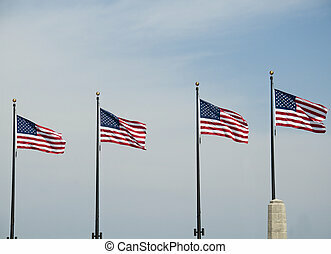 Four American flags stand in a row.